In many organizations, the ERP system has become the application support for the majority of business processes and the repository forthe corporation’s most sensitive data. As these systems become more important and pervasive, there are often conflicting opinions about how they should be maintained and updated. 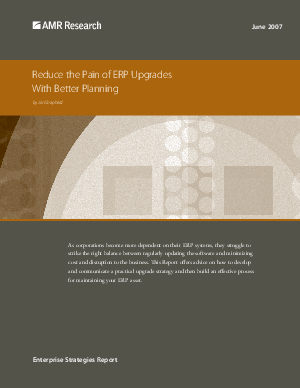 This is no longer a technical decision that can be made by the IT department or dictated by the software vendor’s release schedule.ERP upgrades are now important enough that senior management needs to fully understand both the timing and project plan.